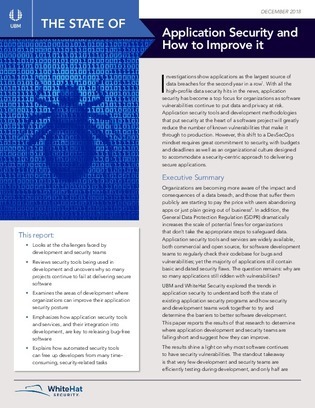 Securing applications at every level is critical to success, but all too often development and security teams have different goals – leaving detrimental gaps in security. UBM conducted an online survey to explore common trends and challenges in app security, and to understand how security and development teams can work together to close these gaps. Click here for an inside look at the state of application security and uncover the survey results.